Legislation enacted before the 2010 Soccer World Cup sought to ensure the South African public would never be denied access to television images of the country’s top teams performing on the biggest international stages. Sports Broadcasting Services regulations, added to the Electronic Communications Act of 2005, ring fenced a myriad of different events to which all audiences must have access. Essentially it insisted free-to-air-carriers like the state broadcaster the SABC be given the right to show tournaments like the cricket, rugby and Soccer World Cup, the Olympics, the African Nations Cup and other events. It protected them in an environment in which they could compete with cash-rich satellite broadcasters in the acquisition of rights. It also ensured the public purse was not used in an auction that would artificially inflate the price of rights. Such rule might be contrary to the spirit of free enterprise but must be applauded and appreciated. All South Africans should be allowed to watch their representative teams, not just those who can afford satellite dishes. But if the SABC is to be afforded such protectionism surely it also has a duty to show all matches involving national teams. But on Wednesday night there was a blackout from Swaziland with no coverage of the friendly international victory for Bafana Bafana at the Somhlolo Stadium. I commentated for the SABC through the first 10 years of Bafana Bafana’s international participation and the state broadcaster never missed a game – it being a priority to ensure the national team’s matches were shown. Often this was in places with poor TV infrastructure, but the SABC would send extra cameras and cameramen to enhance the quality. There was never any question of Bafana fans not being able to watch their team on TV, be they in Riyadh, Bobo-Dioulasso, Curepipe or indeed Swaziland. Buying the rights to show the match from the host association and sending a broadcast truck across the border used to be a routine exercise. I’m not sure what happens there anymore but the license fee payer is being consistently let down. How ironic it was to be flicking across the channels on Wednesday night in anticipation of watching Bafana but only being able to find a game involving Nigeria. As Bafana take on the Super Eagles this Sunday, I now know more about the Super Eagles than my own home side. Legislators who ensured democratically-inspired sports viewing are surely now obliged to enquire of the SABC why they were incapable of securing pictures from neighbouring Swaziland. The South African Football Association is also obliged to insist any rights packages it sells, commits the broadcaster to fulsome coverage of the team’s activities, including away friendlies. A match between Bafana and Swaziland might not have the glamour of a Cricket World Cup semi-final, but I bet there were as many South Africans interested in watching Wednesday night’s football as there were who watched the cricket from New Zealand on Tuesday morning. 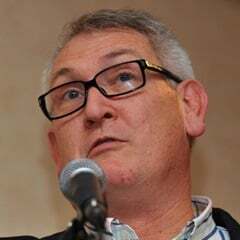 Mark Gleeson is a world-renowned soccer commentator and Editorial Director of Mzanzi Football.